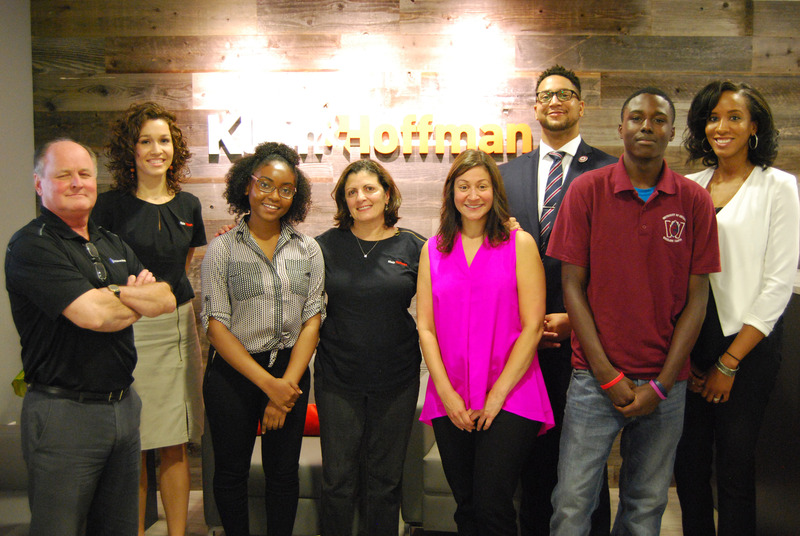 Klein & Hoffman partnered with the University of Chicago Charter School’s-Woodlawn Campus to give High School students from the Southside Chicago community the opportunity to learn about professional careers within the areas of Science, Technology, Engineering, Architecture, and Mathematics (our version of STEAM). Sanii Terry and Joshua Banks were the first to complete our K&H Summer Internship Program. Our team created an environment where Sanii and Josh could learn what it takes to become an Architect or Structural Engineer, be introduced to the profession, and gain valuable hands-on project exposure. The Program proved to be a profound experience both to K&H employees as well as the students. John Harris, Principal of a5 Inc., came out on Wednesday to interview Sanii & Josh on their last day. John also met Will Torres, Chief College Officer at UChicago Charter School, to learn more about the School’s mission and program. As a bonus, we took the interns on the Chicago Architecture Boat Tour so they could get in-depth knowledge and amazing shots of iconic Chicago buildings. We look forward to a continued partnership and shaping the next generation of Architects and Engineers!